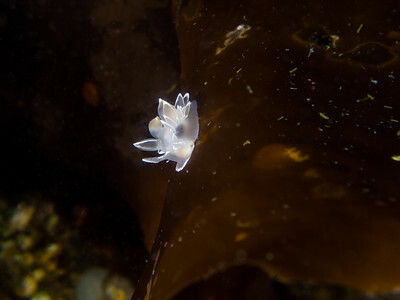 Melibe on giant kelp at La Jolla Shores. 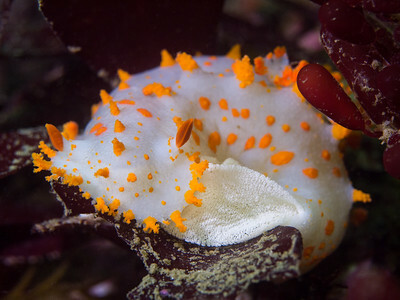 Opalescent sea slug on Ida's miter near Granite Point Wall. 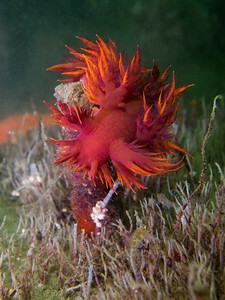 Spanish shawl at Anchor Farm. 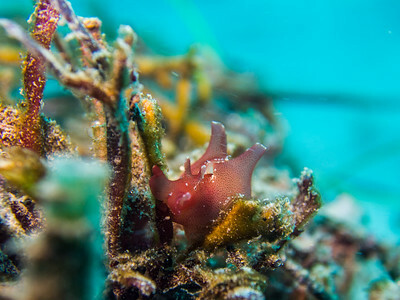 Baby California sea hare at La Jolla Shores. 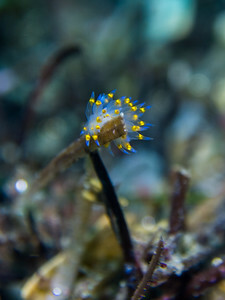 Tiny cockscomb nudibranch at La Jolla Shores. 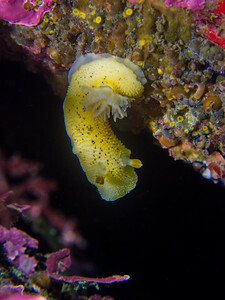 Barnacle-eating dorid, eating a barnacle at Monastery North. 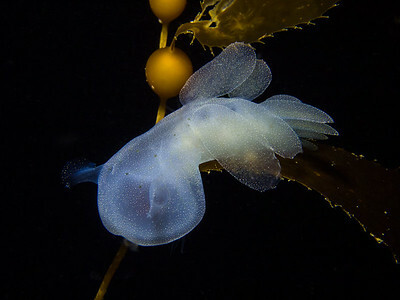 Monterey dorid at Scripps Canyon. 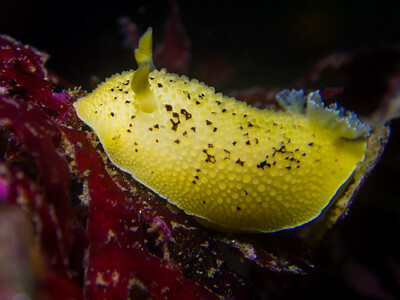 Sea lemon at Granite Point Wall. 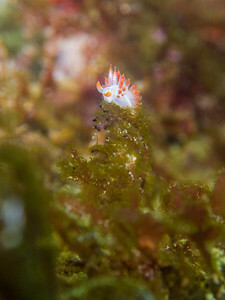 Clown dorid at Metridium Fields. 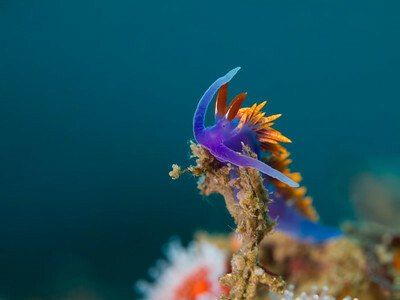 Rainbow nudibranch on a tube anemone at Metridium Fields. 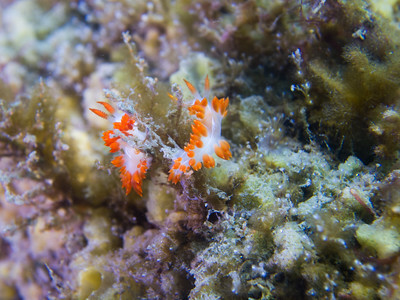 Opalescent sea slugs of a different colour at Metridium Fields. 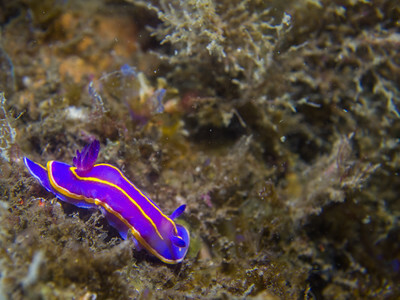 Porter's chromodorid at La Jolla Cove. 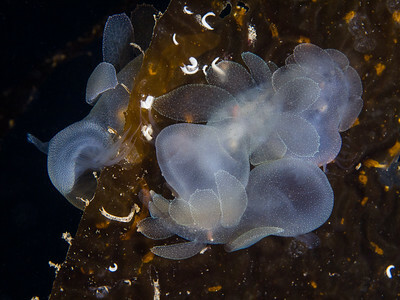 Melibes on shallow giant kelp at Eagle Rock. 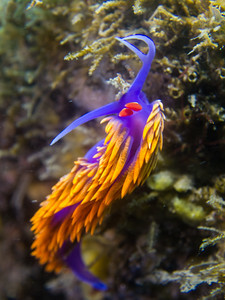 Spanish shawl with a bifurcated oral tentacle at Mission Point Park. 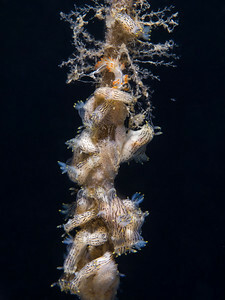 Stearn's aeolids at Mission Point Park. 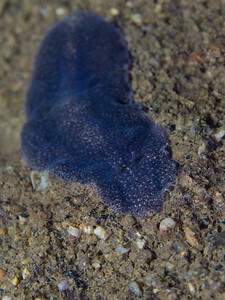 MacFarland's chromodorid at Mission Point Park. 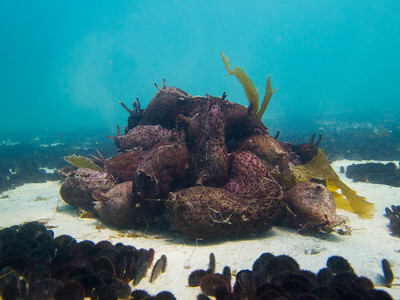 Pile of mating California sea hares at Breakwater. 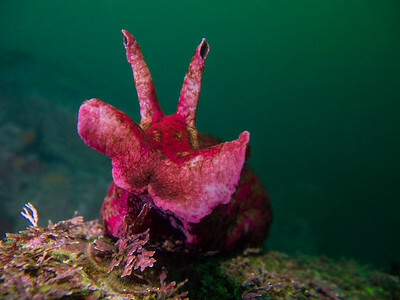 California sea hare at Monastery North. 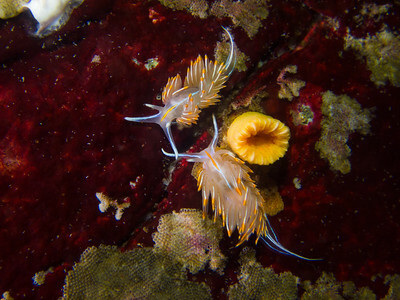 Frosted nudibranchs at Diplock Reef. 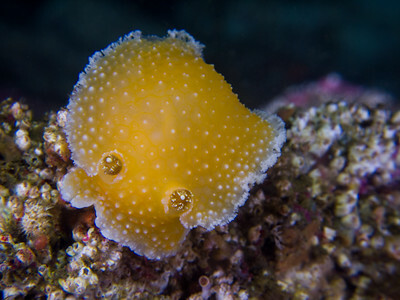 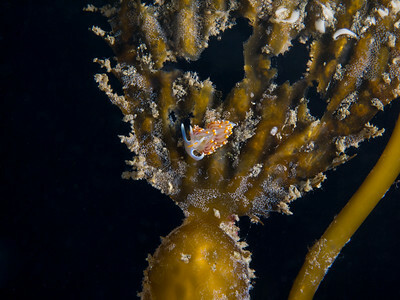 Orange peel nudibranch at Diplock Reef. 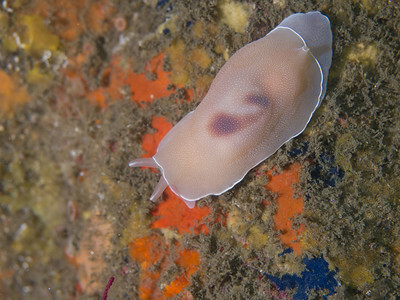 Hudson's horned dorid at Tyler Rock. 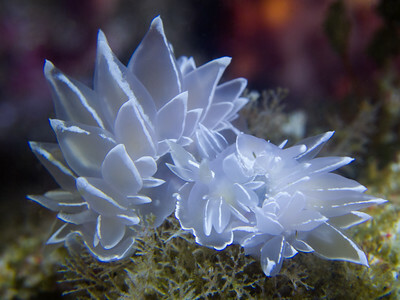 Opalescent sea slugs at Jen's Jewel. 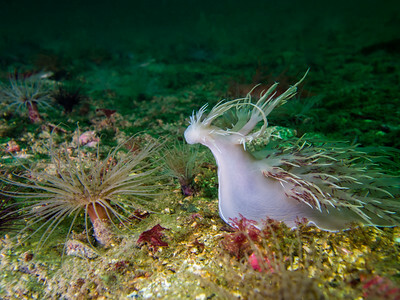 Frosted nudibranch at Jen's Jewel. 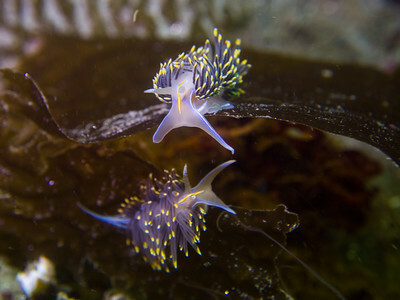 Opalescent sea slugs at Seddall Island Wall. 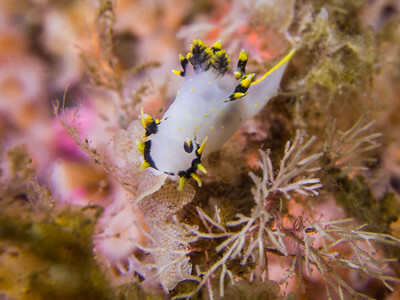 Three color polycera at Seddall Island Wall. 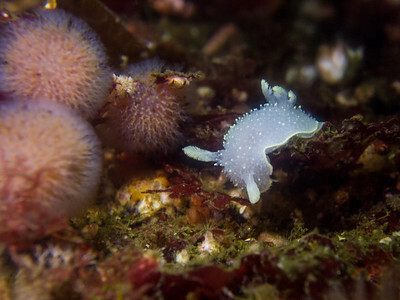 Nanaimo dorid at Engel's Reef. 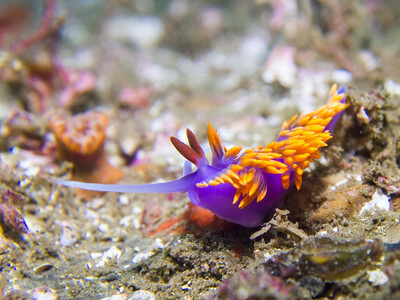 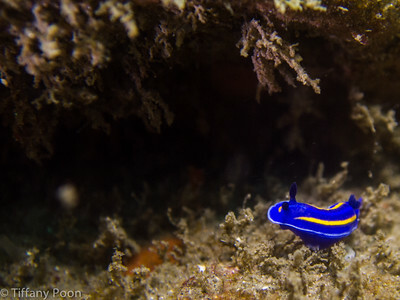 Rainbow nudibranch hunting a tube anemone at Chup Point. 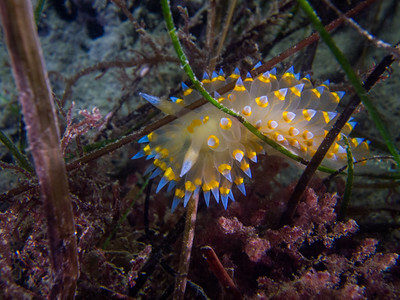 Cockscomb nudibranch, Janolus barbarensis, at La Jolla Shores. 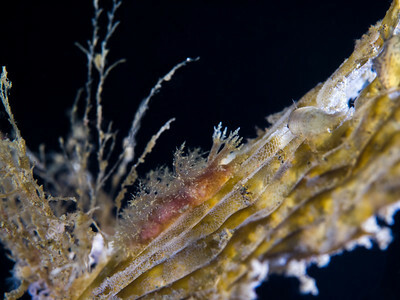 Stearn's aeolid at Willow's Anch. 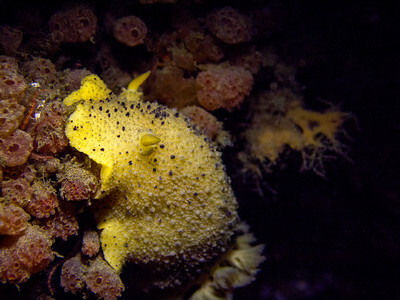 Clown dorid laying eggs at Breakwater. 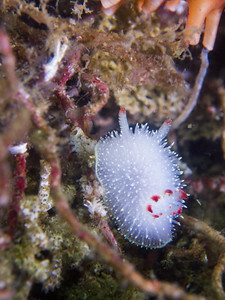 White spotted dorid at Middle Reef. 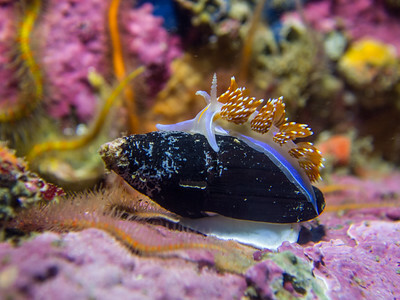 California berthella at Dean's Maze. 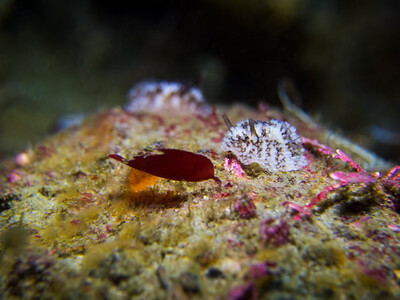 Spanish shawl at Dean's Maze. 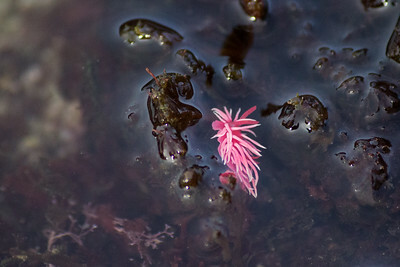 Hopkin's rose at La Jolla Tide Pools. 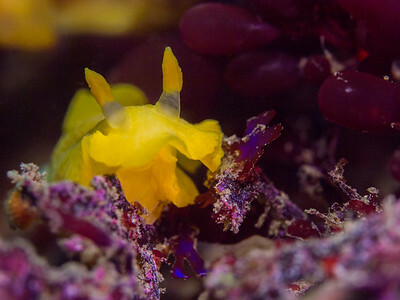 Robilliard's dendronotus at La Jolla Shores. 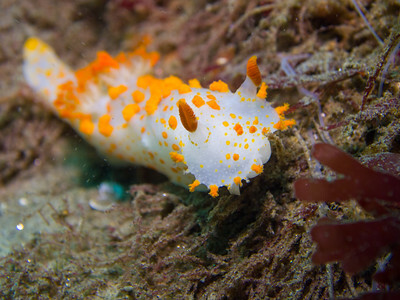 Opalescent sea slug at La Jolla Shores. 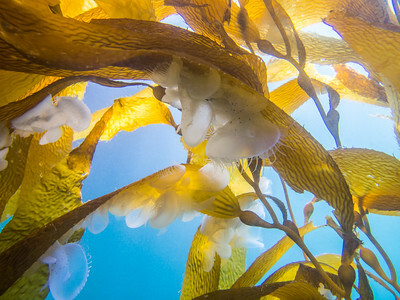 Melibes on kelp at La Jolla Shores. 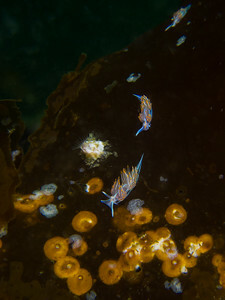 Black dorids, Pacific corambes, and a three lined aeolid cluster on a stalk of giant kelp at La Jolla Shores.